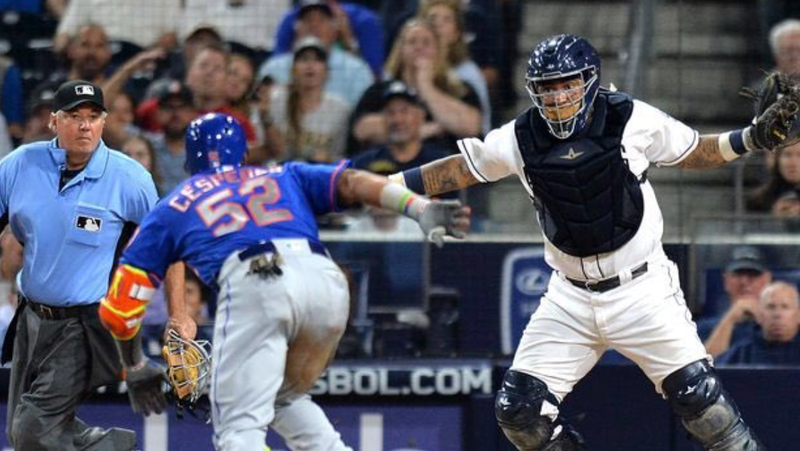 Coming into Tuesday night against the Mets, the Padres’ bullpen has a few question marks. 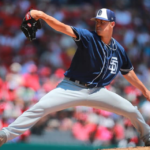 After the trade on Monday with the Kansas City Royals, it is unclear to the Padres’ relief pitchers what their roles are now. Moving two late-inning arms, Ryan Buchter and closer Brandon Maurer, Andy Green has to sort out when and where to use his remaining bullpen. 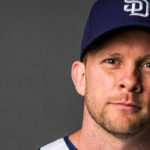 Instead of Jhoulys Chacin starting for the Padres in game two against the Mets, Kyle Lloyd was called up to take his spot. Chacin was scratched because of a back injury, which doesn’t seem serious. In the month of July, Chacin has posted a 3-0 record with a 2.31 ERA over four starts. The Padres have walked away with victories in all four of his starts in July. Kyle Lloyd has pitched well on the year across two teams in the minors. He started 15 games for the San Antonio Missions (AA), posting a 7-5 record with a 3.71 ERA. 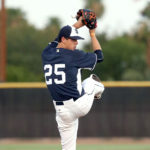 Over five starts for El Paso (AAA), Lloyd had a 5.65 ERA. 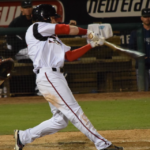 Lloyd is 26 years old and is a great story, being drafted by the Padres in the 29th round in 2013 out of Evansville. Seth Lugo was coming off of a solid performance against the Cardinals, going 6.2 innings, allowing four hits, and just one run. Lloyd started his MLB career retiring his first two batters, but then Mets slugger, Yoenis Cespedes, hit a two-out solo blast in the first inning. The Padres nearly tied it in the bottom half of the first. Hector Sanchez lined a 3-2 pitch into right field with Carlos Asuaje on second. Asuaje was gunned down out the plate by right fielder Jay Bruce. Asuaje really had no shot at scoring because of how hard the ball was hit. Hunter Renfroe led off the second inning with his 20th home run of the season. Renfroe hit two homers in last night’s game as well. Allen Cordoba came up to bat later in the inning after Margot singled. 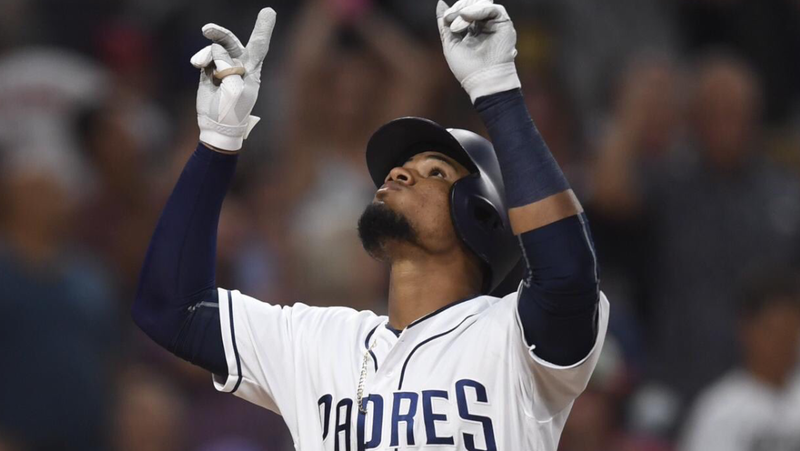 Cordoba lined one out to right center for his fourth home run of the season, which gave the Padres a 3-1 lead. Lloyd pitched a scoreless 3rd, but ran into a little trouble in the fourth, giving up two straight singles to start the inning. He then got the next two batters out, but allowed a two-out single to Travis d’Arnaud. In the top of the 5th, Lloyd was still pitching when Curtis Granderson hit a line drive to center field. Manuel Margot nearly made a web gem diving catch, but the ball deflected off his glove. Asdrubal Cabrera followed with an RBI double, tying the game at three. Andy Green came out to pull Lloyd after 4+ innings. Kyle Lloyd’s finally line in his debut was 4+ IP, six hits, four ER, two walks, and two Ks. Kirby Yates came in to relieve Lloyd. Yates gave up the third straight double of the inning to Cespedes, making the score 4-3, Mets leading. Jay Bruce hit a line drive to Asuaje, who flipped it to Cordoba to double up Cespedes at second base. Matt Szczur led off the bottom of the 5th with an infield single. Pirela followed by reaching on an error. Carlos Asuaje flied one out to center and while Szczur was tagging for third, Pirela made a heads up move to tag to second also. Myers batted next, hitting an RBI sac-fly, scoring Szczur to tie the game at four. 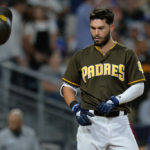 The Padres executed simple baseball fundamentals of hustling and good base running to manufacture a run and tie the game. Szczur reached base by hustling down the base path on an infield ground ball. The Padres then capitalized on an error with two sac flies to tie the game. Rookie Jose Torres made his 43rd appearance of the season, pitching a perfect sixth. In the top of the seventh, Torres was still in the game. He got two batters out while giving up a single to Curtis Granderson. Andy Green decided to call on fellow rookie Phil Maton to face Yoenis Cespedes, who already had a home run and an RBI double. Cespedes hit a check swing triple down the right field line and ended up scoring on a throwing error by Wil Myers. The Mets took the lead 6-4 and Cespedes was a single away from the cycle. The Padres went down in order in the seventh and the eighth inning. Mets closer Addison Reed came into the game in the 9th. Spangenberg led off the 9th with a single after just missing a home run in foul territory. Margot and Jabari Blash followed with pop-outs in the infield. Dusty Coleman came to bat with two-outs. 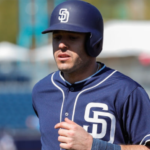 Coleman hit an RBI double for his first Major League hit to bring the Padres within one run. Coleman represented the tying run on second base. Pirela hit a hard ground ball to third but was thrown out to end the game. The winning pitcher for the Mets was Seth Lugo (5-2), while Jose Torres (5-3) took the loss. Mets scored six runs on nine hits and committed one error. 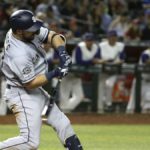 The Padres scored five runs on 10 hits and committed two errors. -Journeyman Dusty Coleman got his first MLB hit. -Manuel Margot went 3-4 with three singles. It is the fourth time Margot had three hits in a game this year. -Carlos Asuaje is hitting .350 (14-40) in his last eight games. 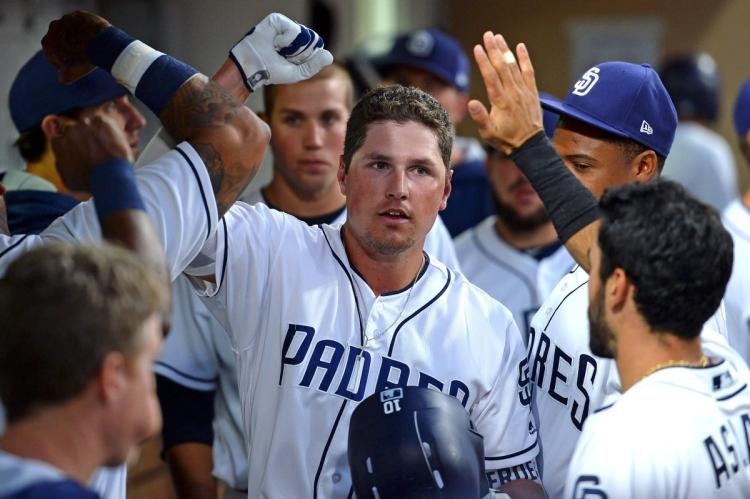 -Hunter Renfroe has three home runs in the last two games. In the post-game conference, Andy Green said Jhoulys Chacin will likely start tomorrow. Tomorrow’s game against the Mets is game three of four in the series.